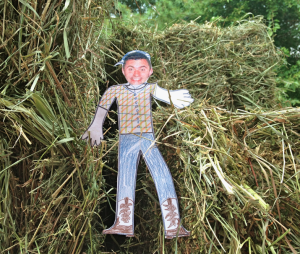 After we gave him a new plaid shirt and cowboy boots, we put Flat Ryan to work. We were putting up square bales of hay into the barn. First Ryan helped unload the rack. But then he decided to help the boys up in the hay mow. The quickest way to get up there was to simply ride a bale on the conveyor. So that’s what he did. After the racks were unloaded, Ryan wanted to take a look at the steers in the barn lot. It must have been close to feeding time because the red steer wanted to see how Ryan tasted. All I can say is cow saliva wasn’t good for Ryan’s complexion. Though Ryan did seem to be excited about it. We had some lime hauled to where we had wheat this year. 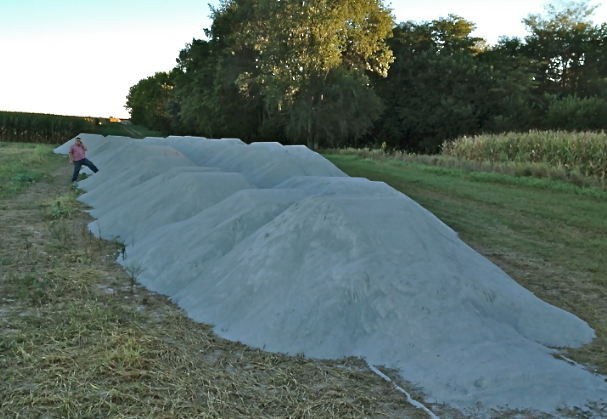 After we harvest the corn and beans, we will have the lime spread on the fields to improve the soil ph. Ryan really wanted to play in the lime like it was sand but it started to irritate his delicate skin. 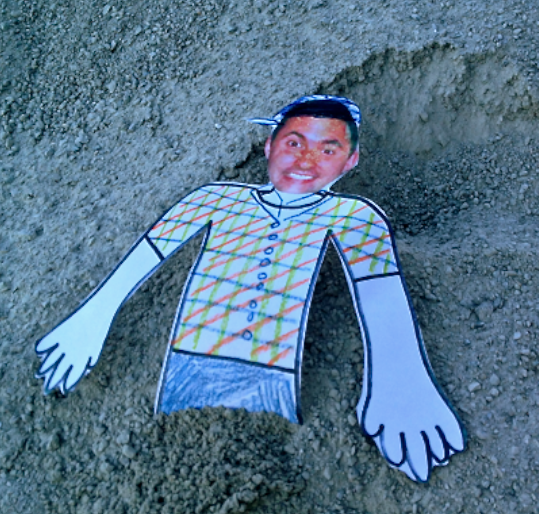 Thanks for stopping by Flat Ryan. I absolutely love this idea. 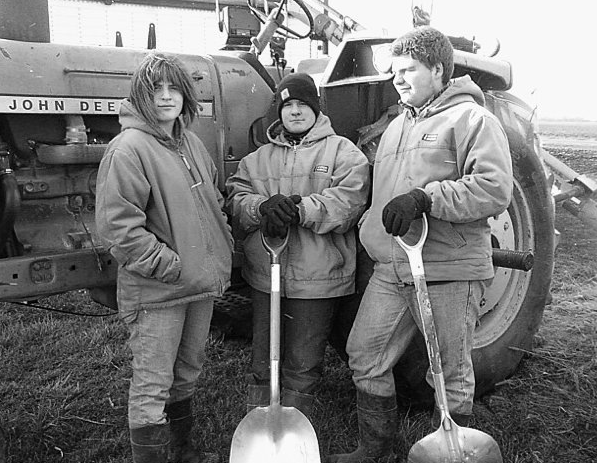 Such a neat way to illustrate life on the farm to people (especially youth) who follow the Flat Stanley idea. 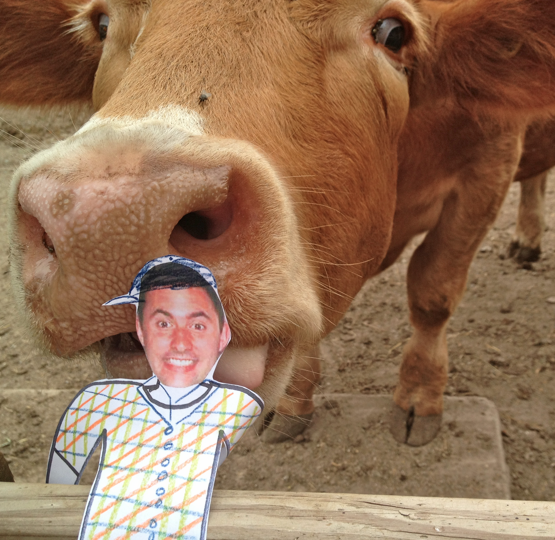 Glad that Flat Ryan stopped by your farm! @KasieDugas Thanks for stopping by, Kasie. Ryan is being such a good sport about it all.